2841 E. 850 N. RD. 302 E. Dunlap St., Kentland, IN 219-474-5055 HOURS: Mon.-Sat. 7 a.m.-8 p.m.; Sun. 7 a.m.-6 p.m.
Special Additional Services *Bond Ultim8 $20 Add this to any color and/or highlight to help protect your hair. This product provides strength to your hair through the coloring and lightening pocesses by strengthening your hair bonds. *Conditioning Treatments $18 Dry of damaged hair can be healed with a conditioning treatment. This service can be added to the end of a color or highlight service or can be processed by itself. *Malibu Treatment $18 Naturally eliminates the elements of your hair. Malibu pulls out buildup of the hair to restore and protect hair. This can be done before any chemical service to get the most accurate color or curl. This treatment is also great for swimmers. Newton County Economic Development We are interested in helping locate your new business in Newton County! Already have a business? We can help with Retention and Expansion! 219-474-5163 Hours: 8-5 Mon-Fri.; 8 to noon Sat. 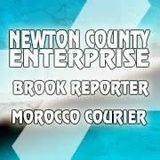 FOR LOCAL NEWS IN NEWTON COUNTY! A FREE guide to help you find the right products and services that you need in Newton County, Indiana.